Macbook Air 13 Pulg, 2017, A1466, Core I5, 8ram, 121ssd! Macbook Air 13 Core I5 1.8ghz 8gb Ram 128gb Ssd Seminueva. 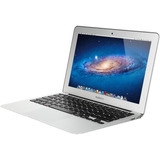 Macbook Air Core I5, 4 Ram ,256 Ssd, Mojave ,oferta !!! !